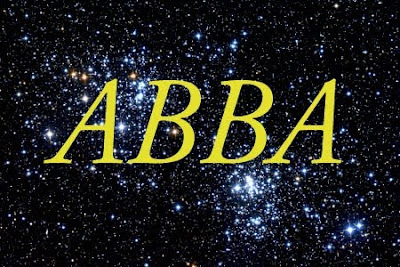 Entity that came to talk: ABBA. Interlocutor: The highest Entity you can channel. ABBA: There are many races that are curious, they seek to investigate, They wonder who I am, what they are doing here. There are other races that directly survive and their thoughts are so narrow-minded that they only seek to satisfy their physical senses without asking what lies beyond. It is not in me to say "This is fine or this is not." I just take them as they are: beings acting in an endless Path. There are many secrets yet to be unveiled that are not going to be revealed in your generation because you do not have a preconceived idea of how vast a moment is and as your own spiritual parts would say, the concept is ampler when the more elevated the Spiritual Entity is. Interlocutor: Who is communicating with us? ABBA: My name is Abba. ABBA: With double "B." And I have a message, just a small speech to avoid wearing out the mental decoder of this vessel, as you would say. Interlocutor: But in which plane are you? More than Eon? ABBA: When you speak about the Whole or the Infinite in your concept, Take me as the Whole, as the Infinite. Interlocutor: So, Am I talking to the Entity comprising the Demiurge and Eon? To whom should I say I am talking to? Are you a Higher Entity than...? ABBA: Higher than Demiurges and Eons. Interlocutor: So, Am I talking to that Entity? Interlocutor: Are you the Final Entity? Are you The Everything of Everything or is there someone else? ABBA: The concept you have about “Everything” you can apply it to me. Interlocutor: So, there many Demiurges and there are many Eons under your aegis, Could we say that they are part of you? ABBA: There is a tremendous continuum and within that continuum there are many universes. Within each universe there are countless galaxies. Within each galaxy there are many star systems. You all, as incarnated beings, dwell in one of them. In the measure that you understand, making a retrospective, detach from your world, watch your stellar system, move away from your stellar system, look at your galaxy, admire it, move away again and look at the local group of galaxies, then move away several million light years, many billion light years and there is your sphere, the one you call universe. There are other universes, some of them can touch your universe other don’t touch it. The magnificence about this magma is that there are various creations and they do not go together. To describe them in your concept it would require time and it’s something truly unusual for you. Interlocutor: Excuse me… Is it the first time that a medium channels you? ABBA: Yes, it is. It is the first time I can communicate with a conscious biological entity through spoken language. Interlocutor: Okay. In other words, to understand a little the Entity we are talking to, first, you are the Everything of Everything and beyond that there is nobody, we thought previously that we were communicated with the Absolute and it was Eon’s 10%. Now we are really communicating with the Everything of Everything and there is nothing beyond. Are you the "Eternal Present", the Everything of Everything? ABBA: I'm what you would call The Everything, the Infinite, the Eternal and I communicate with 10% of my presence. Interlocutor: Okay, fine. Now, just to be able to understand it. How many Eons are there? Are they infinite or is there a certain number of Eons? ABBA: There is never a certain number of something, determination is existence and the rest is undetermined. In the measure that each biological unit of consciousness understands that everything that exists in the different universes is undetermined he or she will see how small and at the same time how magnificent they are in unity, in communion. Interlocutor: Okay. Concretely, Aside from the rest of Everything- let us call it in that way- Will Everything end up in you? That is, in a kind of Big Crunch, I don’t know the name, Are we all moving towards a unity- that is, towards you, Is that so? So, as well as there will be a Big Crunch and we all will be merged with Eon, Will Eon be merged with you at a certain moment? Interlocutor: Of course, from your point of view it’s truly "an eternal present." ABBA: It’s a continuum and the process is quite different. I meant to say that for the moment. ABBA: Each Entity is different from each other. I can say things that may have not been said. Interlocutor: So, Could we summon you again? Interlocutor: Do you wear the vessel out very much? ABBA: Until he grasps my syntony well, yes. So long. Interlocutor: So long and thank you. Interlocutor: How can you ask an Entity like this...? It’s like asking about the flavor of an apple, if you have never tasted it, right? And explain that! Are you exhausted? Jorge Olguin: I'll relax a little bit mentally. Something strange is happening to me. I channeled the Entity, but I did not grasp its dimension. In fact I never grasped Eon’s dimension either, but at least Eon had a pattern. I thought consistently what I thought it was coherent, if I have a close or distant notion of the size of the universe, very few people actually have it, for instance, a spacecraft with its current speed now on Earth of Sun 3, would take 240,000 years to reach the nearest star, Proxima Centauri, which is at 4.25 light years. 240,000 years! If we think 240,000 years ago on Earth, it’s a time absolutely vast for us to comprehend. And we are talking about four years only. If we think that the size of the universe years goes beyond 13,7 billion light years, then one can understand the size that Eon has at physical and superphysical level because the universe is the manifestation of Eon. Then, we realized recently due to investigations developed by Morganel and my Thetan that only 10% of Eon was manifested- that is, 10% is for Everything. Interlocutor: As Eon would say "Why not?" Jorge Olguin: ...And then, it's like this "measure' of Eon was not like that because I thought that Eon had a dimension of 15 billion light years away, but then I realized that it’s only a 10%. A cold mathematician would say, "Well, multiply by 10." It’s not like that, it’s not really that because the fact that I perceived Eon’s 10% does not mean that the other 90%, 100% is ten times more of what I perceived because that is relative. It would be very conceited on my behalf to think something like that. Interlocutor: However, Abba said that it was the first time he communicated with someone from the physical plane. Jorge Olguin: Right. Perhaps Jesus was not perceiving ABBA at mediumistic level through channeling, maybe Jesus perceived ABBA, but he did not channel him. Perceiving and channeling are two different things. Jorge Olguin: And then, I start thinking that what we think we know and how little we know in fact. And the ego we have –I include myself- that we thing we know and with each session we realize how little do we know in fact. Because it is very easy to learn a technique and live the rest of the physical life with this technique without taking a step further. And as Morganel said once something very nice, but at the same time very bitter, Morganel said: " I'm so accustomed to being in my plane 5 and I have no fear of saying things because I am surrounded by beings that will perceive my concept and they will not be offended or they won’t be bothered or angry, then I feel free, and when I convey messages to the physical plane I feel like I’m tethered, it's like I have an obligation to apologize to all of them due to the fear of offending someone." Well, sometimes when I discuss an idea, I’m restraining myself because I know that I'm surrounded... and I myself think: "I'm surrounded" of people who have ego and it's like one is afraid to hurt others, afraid to offend them, to hurt their feelings since they are likely to be offended. However, it’s true that many people who learn certain techniques fall into lassitude or they are negligent and feel comformist and that's it. And in my self-help workshops, and this has nothing to do with what we talked about recently, however I think the same, there are people who feel conformist and say: "I, at my age..." and they are people who are less than fifty years old of age and they peak as if they had the double of age and I tell them: "You should have enthusiasm, you should have to have that conceptual tingle, the eagerness to read, to live, to listen music, to caress, to hug, to feel" and I despair when I see they do not have it. That's all. Then, I perceived that ABBA is the Total Essence, which includes Good and Evil, and I humbly understand that ABBA is neutral, unlike Eon and the Demiurge, who represent Love and Hatred. This entry was posted at Sunday, June 19, 2011 and is filed under Dialogues with ABBA . You can follow any responses to this entry through the .